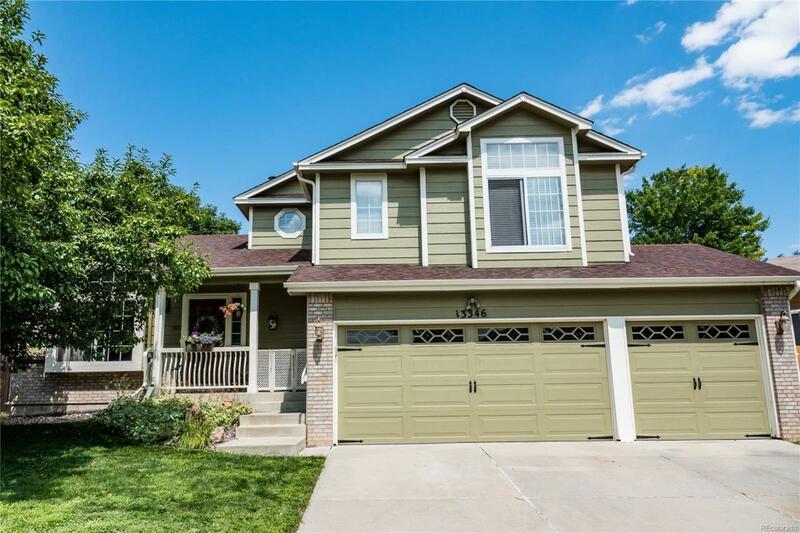 Impeccably maintained home in highly sought after Trails at Westlake! Close to the lake and walking trail. Very open floor plan. Light and airy and decorated beautifully, this home is sure to please the pickiest buyer. Newer stainless appliances including gas range. Master bedroom with walk-in closet plus lovely bath. Two additional bedrooms upstairs PLUS a laundry room round out the upper level. The lower level has a wonderfully sized family room with fireplace and is viewable from the kitchen. Basement is unfinished and has two egress windows already in place and rough in plumbing to add an additional bath. The fenced yard is well landscaped with garden spaces and lovely flower beds complete with sprinkler system & a lovely pond. Whole house fan, portable ac unit, storage space, sprinkler system. 3 CAR GARAGE! Seller will remove temporary wall in garage for new owner. Be sure to check out neighborhood park with walking paths, playground & pavilion. Rec center within walking distance!